See more objects with the tag nature, geometric, jewelry, two-toned. This is a Bracelet. 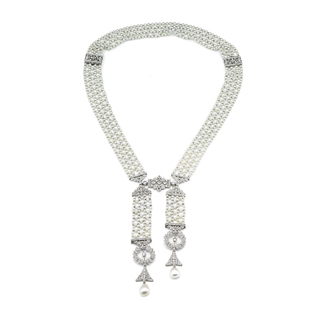 It was produced by Tiffany & Co., Paris. This object is not part of the Cooper Hewitt's permanent collection. 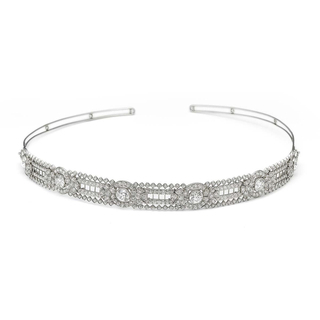 It was able to spend time at the museum on loan from Tiffany and Co.	as part of The Jazz Age: American Style in the 1920s. It is dated 1925–30. 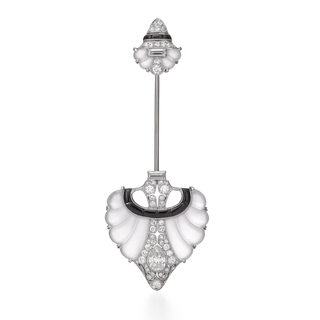 Its medium is platinum, diamonds, sapphires. 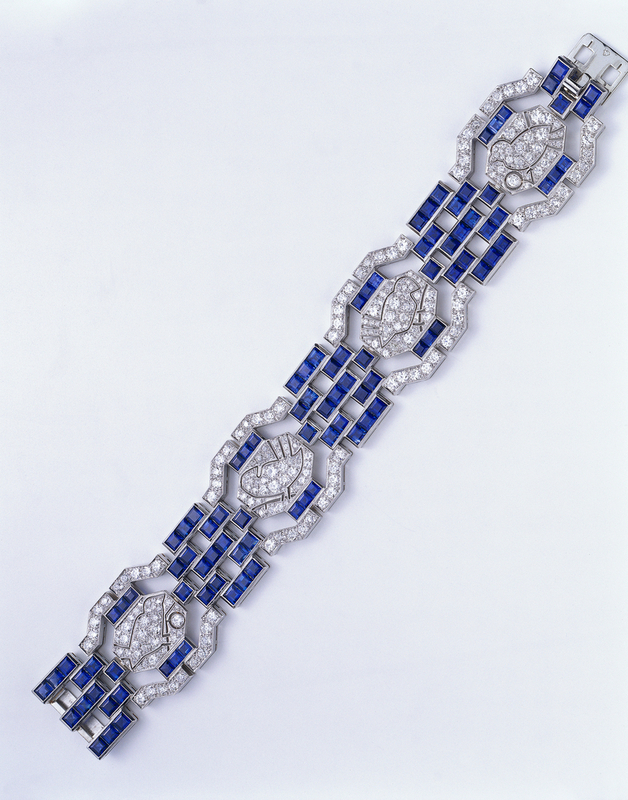 The rich patterning, including four outlined birds, and sophisticated use of geometric arrangements of sapphires and diamonds in a platinum setting make this French-made bracelet from the late 1920s one that Tiffany & Co. would have sold in either Paris or New York to someone who wanted the look of a French piece. It is credited Lent by Tiffany and Company, Archives, A2004.17. Lent by Tiffany and Company, Archives, A2012.51. Lent by Tiffany and Company, Archives, A2010.08. diamonds, platinum, rock crystal (quartz), chalcedony (onyx). Lent by Tiffany and Company, Archives, A1999.28. 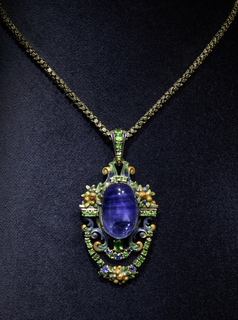 18k gold, cabochon sapphire, demantoid garnet, faceted sapphires and enamel. [dog's head hallmark]; "Tiffany & Co."
This object was previously on display as a part of the exhibition	The Jazz Age: American Style in the 1920s.